Men's relaxed-fit, lightweight plaid shirt that's built to move, bend, and stretch, just like you. 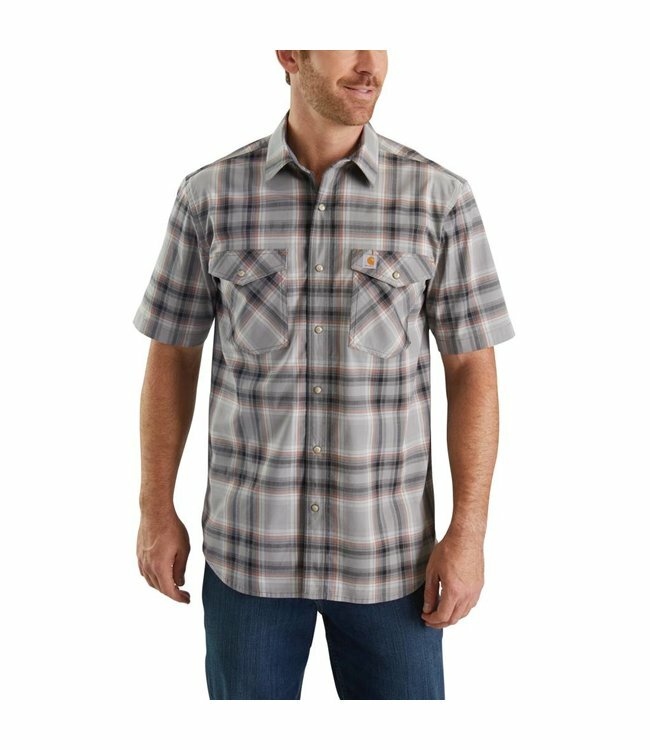 Whether you're hanging drywall or throwing bales of hay, this short-sleeve plaid shirt gives you the range of motion to get the job done. It's made of lightweight fabric that has extra stretch across the shoulders. Two snap pockets on the chest give you a place to stash cards and cash.